Since major companies subcontracted and outsourced significant part of the added-value in order to concentrate on their own core competencies, they increasingly depend on their suppliers. In automotive and aerospace industry the rate of value creation is about 20% for the OEMs and 80% for suppliers. OEM here stands for a company that acquires systems, parts or components and incorporates them into a new product, with its own brand name. The whole performance of the extended supply chain can be impaired by a single supplier not achieving the assigned targets. I remember in my early consulting year the case of a railway rolling stock manufacturer whose carriages could not be delivered because windows and doors were late. The seemingly not strategic parts provider wasn’t monitored closely enough and his late deliveries came as a bad surprise. Supplier development is a kind of help provided to some suppliers in order to settle issues and/or improve quality, delivery or costs. This assistance can be imposed upon the supplier by contract by the buyer if supplier doesn’t meet the objectives, or in a more friendly manner proposed to a supplier as a way to improve the partnership and overall supply chain performance. Supplier development programs are often part of a Lean or Excellence program that extends beyond the initiator’s (buyer) walls. It is also often a non-negotiable part of the contract. Supplier development is most often a technical or methodological assistance provided by a special team from the OEM or consultants send by him. In some cases the supplier is required to act but the choice remains his, as long as the OEM agrees it. Supplier development as a reaction to issues carries cost for both parties; costs of the issues and cost of the mitigation and solution. Therefore supplier development, as nice as it sounds is seldom a friendly option. Buyers use the case to press prices further down or impose some conditions the supplier can hardly refuse under the circumstances. Yet these considerations set apart, supplier development looks very much like consulting on operations. It is made of problem analyzing and solving, process improvement, quality issues mitigation and so on. In order to avoid surprises, send specialists for supplier development and secure the supply chain, most buyers will thoroughly check the candidate supplier’s capabilities before awarding him any contract. This is usually done via suppliers audits. 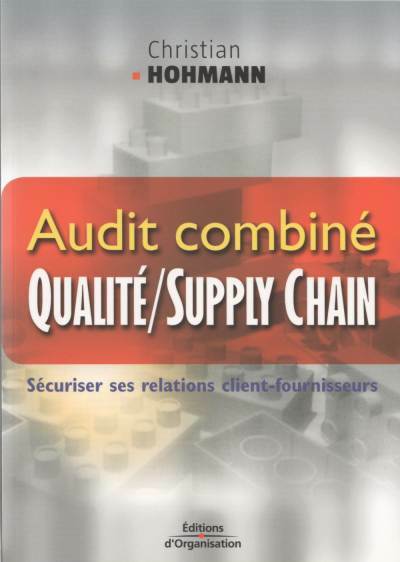 I published a book on the topic in 2004, combining quality and supply chain assessment in a single audit, in order to make the process less costly for both parties and more efficient.